Please join us for a day of golf, food, and friends and fellowship to benefit the St. Rita School Scholarship and Development Fund. Registration & Lunch at 11:00 a.m.
Tee-Off (shotgun start, best ball format) at 12:30 p.m.
Cocktails and Hors d' oeuvres Beginning at 5:00 p.m. Bourbon Station - Taste a nice bourbon before you tee off on the long 17th par 3. Cigar Station - Swing by and grab a cigar during your round on the second tee box. Raw Bar Station - Before you tee off on the 15th hole, stop behind the tee and enjoy some fresh seafood at the raw bar. Registration rates: see the registration form for more information. Please complete and return the sponsorship form no later than May 12, 2019, to ensure inclusion in the tournament program. Designed by the legendary Willie Park, Jr., the course is a par 70 and measures 6,560 yards from the tips with a rating of 71.8 and a slope of 131. The impeccably maintained course features large, fast, and undulating greens. It has been the host of the notable Connecticut and New England Golf competitions. 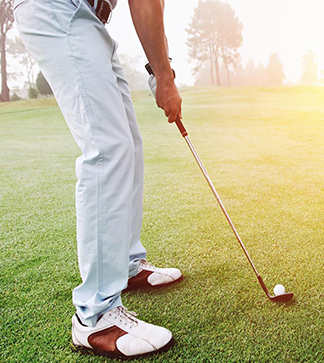 These competitions include 15 Connecticut Amateur and six Connecticut Open Championships, the New England Amateur, countless USGA and CSGA qualifiers, and the Women's Western Championship. New Haven Country Club hosted the 2016 and 2017 Connecticut Open.